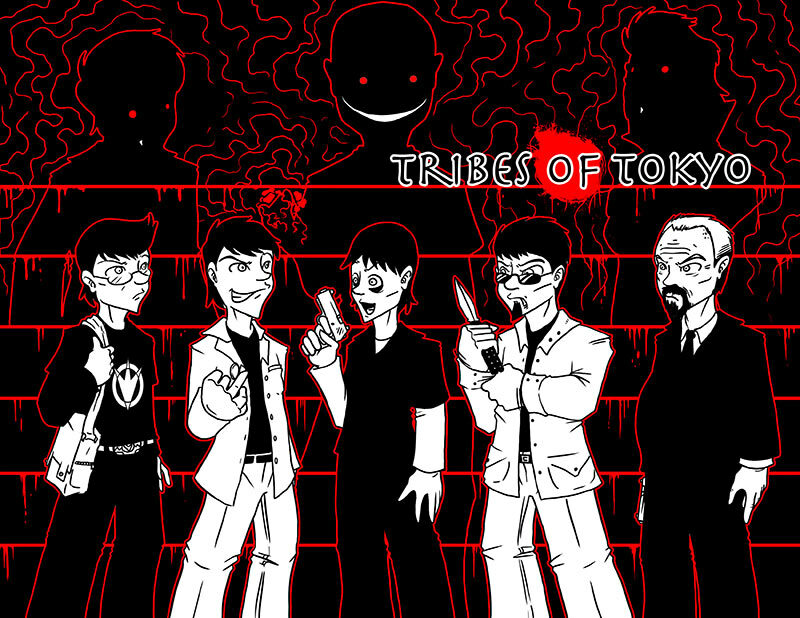 Tribes of Tokyo is a Night’s Black Agents campaign, set primarily in the bustling capital of Japan.It is a game of thrilling espionage action and dark vampiric horror. A group of security consultants in Tokyo are hired for a typical job, digging up dirt on a mysterious individual by an anonymous client. Unfortunately, the target is not what he seems to be and the consultants find themselves fighting against a conspiracy of inhuman monsters able to climb sheer walls and shrug off gunfire. Who are they and what do they want? More importantly, what will they do to the consultants if they catch them? This group of misfits and washouts from various intelligence and criminal organizations have to find and stop their new adversaries before it’s too late. This campaign lasted for 13 episodes, plus a single prequel game. It mixes dark occult horror with cinematic spy action scenes, complex schemes, and political intrigue. All artwork for this campaign was created by Crazon. Check out his Devianart page! Prequel: Call of Cthulhu – The Iron Banded Box. Set in historical Japan, this scenario is not necessary to listen to but it does add some depth and context to it. Episode 1: The Ronin, a group of security consultants, get caught up in a conspiracy of drug dealers and vampires. Episode 2: The investigation begins in the night clubs, as the Ronin look into drug dealers and motorcycle gangs. Episode 3:Tracing the mysterious drug Reverb through the Japanese underworld. Episode 4: Operation Black Dolphin. Episode 5:The vampires retaliate and the Ronin discover a leak in the police department. Episode 6: The capture and interrogation of American Joe, the rogue Yakuza drug dealer. Episode 7: The secrets of the Japanese David Bowie. Episode 8:The Ronin attempt a rescue mission. Episode 9: A side mission undertaken to earn additional cash nets the Ronin unexpected trouble. Episode 10: A journey to a distant realm through means most unusual. Episode 11: Infiltration of a cult compound. Episode 12: A massive assault on the hidden lair of the vampires, but is that all there is to it? Episode 13: The truth behind the Long Vault and final choices. Post Mortem: Go behind the scenes of Tribes, as Ross, Caleb, Tom, and Aaron discuss what went right and what wrong.